Inland Passage from Bellingham, WA to Skagway, AK May to August 2020. The Inland Passage is a trip I have planned several times but always put off because I felt the trip I was doing was important and could always get to the Inland Passage trip. I have always tried to be 3 trips/years out. I have never planned a trip and not executed it. The trip to Mongolia/Siberia is the 1st time I couldn't pull the trigger after all the planning. No matter what the "excuses" could be, I have always executed. Too hot, too cold, too far, not enough time, not enough money or too old. I have always felt that if I started to using excuses to not go, then that was going to be the beginning of the end. But, as one gets older there are certain things that life throws at us that just require using some common sense and make sure we make the right decisions when it comes to the number one thing in our lives, our health. A map of the Alaskan portion of the Inside Passage. 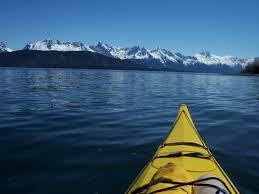 The term "Inside Passage" is also often used to refer to the ocean and islands around the passage itself. 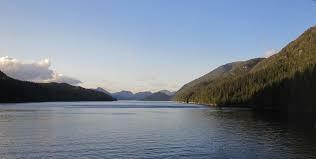 The Inside Passage is also sometimes referred to as the "Inland Passage" which is in turn a reference to early explorers' quests to locate the Northwest Passage between the Pacific Ocean and the Atlantic Ocean. It is generally accepted that the Inside Passage starts in Puget Sound in Washington and then extends north, first along the British Columbia Coast and then the Alaska Panhandle. In use during the Klondike Gold Rush the passage was one of the sea routes from Seattle and California carrying prospectors north. 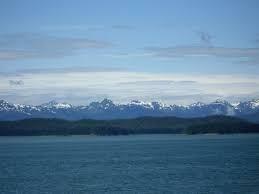 British Columbia's portion of the route has up to 25,000 miles (40,000 km) of coastline. It includes the narrow, protected Strait of Georgia between Vancouver Island and the B.C. mainland, the Johnstone Strait and Discovery Passage between Vancouver Island and the mainland, as well as a short stretch along the wider and more exposed Hecate Strait near the Haida Gwaii (formerly the Queen Charlotte Islands). From Fitz Hugh Sound northwards, the route is sheltered from Pacific winds and waves by the various large islands in the area such as Princess Royal Island and Pitt Island. 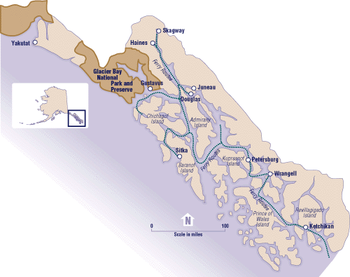 This section includes a series of channels and straits, from south to north: Fisher Channel, Lama Passage, Seaforth Channel, Milbanke Sound, Finlayson Channel, Sarah Passage, Tolmie Channel, Princess Royal Channel (includes Graham Reach and Fraser Reach), McKay Reach, Wright Sound, Grenville Channel, Arthur Passage, and Chatham Sound.